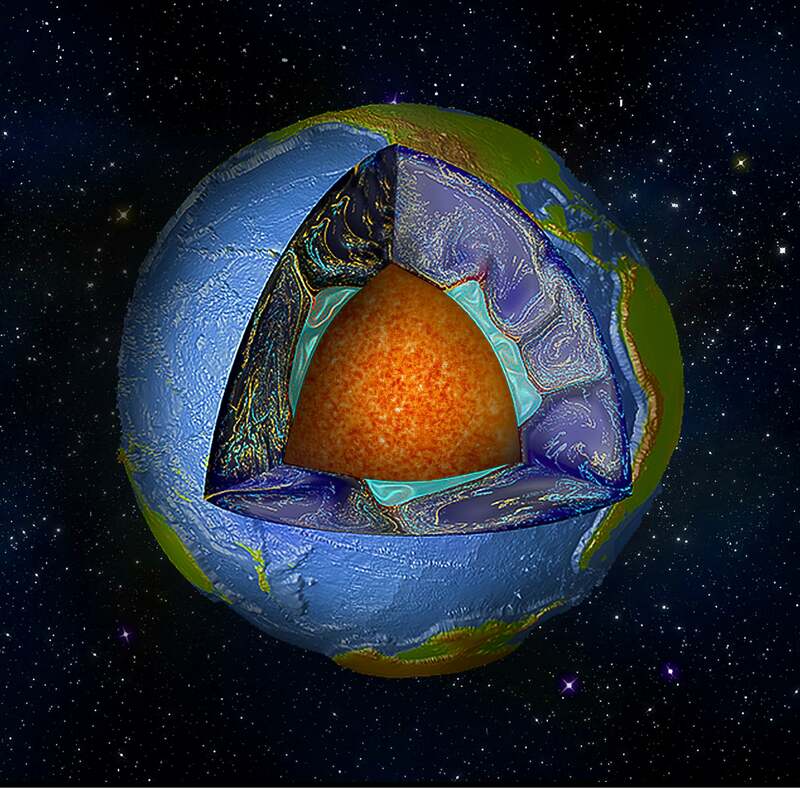 Two massive blob-like structures lie deep within the Earth, roughly on opposite sides of the planet. The two structures, each the size of a continent and 100 times taller than Mt. Everest, sit on the core, 1800 miles deep, and about halfway to the center of the Earth.